Starbucks is on this list, but for a very good reason! 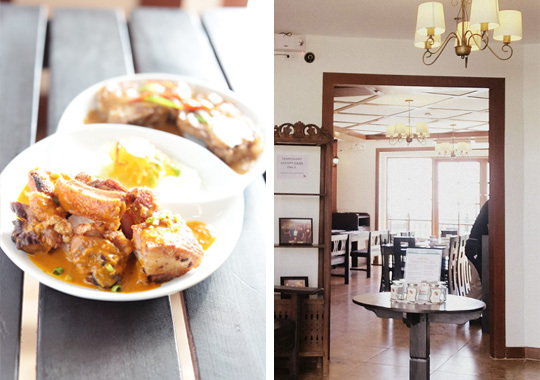 (Spot.ph) Scenic views of Taal Volcano, pleasant weather, and great eats make Tagaytay a perennial holiday destination. 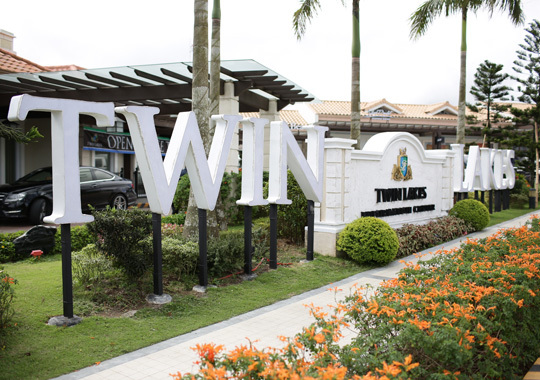 And within Tagaytay are mini retreats, like Twin Lakes—the country’s first vineyard resort, created by real estate giant Megaworld Corp. 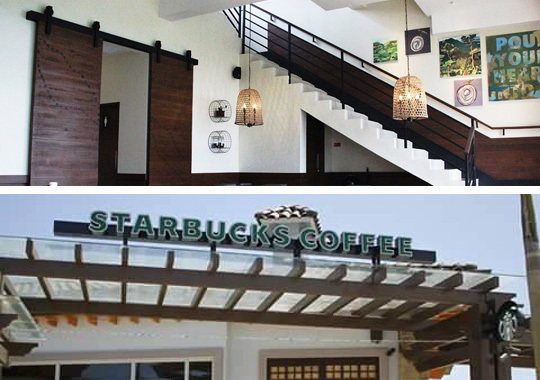 Contributing to the growing local foodie scene, it features a charming row of restaurants that includes a bakery, cafes, a seafood joint, and what’s arguably the most beautiful Starbucks in the Philippines. 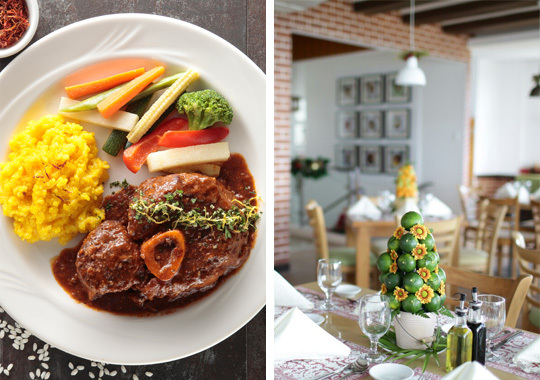 With a direct view of Taal Lake from its refreshing al fresco area, Twin Lakes ensures an invigorating dining experience the whole family will love. 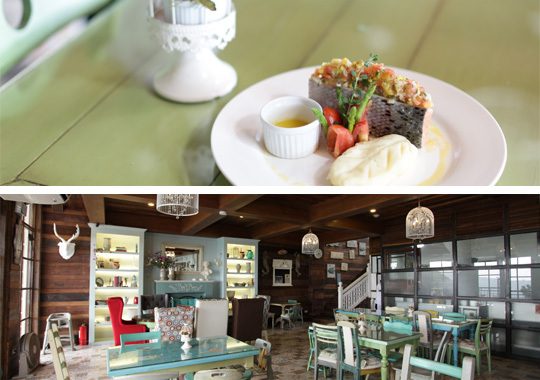 A Twin Lakes exclusive, Silver Bucket’s refreshing interiors and inventive seafood dishes definitely warrant a visit. 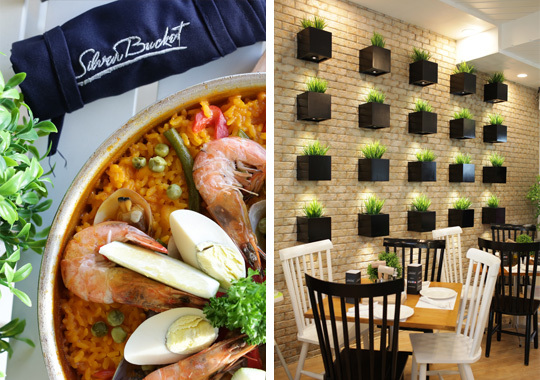 Specializing in fusion seafood cuisine prepared right before your eyes in their open kitchen, Silver Bucket is a must-try for seafood lovers. True to its name, you shouldn’t leave without trying their Seafood in a Bucket—the freshest catch of the day, soaked in their secret spice mix. Another standout is the Lobster Thermidor, prepared with a luscious cream sauce, and a definite must-try. Seeking an Italian feast for the holidays? Buon Giorno! definitely fits the bill. The charming rustic interior of their Twin Lakes branch coupled with hearty Italian dishes make this a great restaurant for families. Choose from a wide range of pastas, pizzas, and Panini, and you must try their Canneloni Spinaci, a chicken-and-ham-rolled-in-pasta dish that catapulted Buon Giorno to foodie fame. Twin Lakes’ Bag of Beans brews up more than a yummy cup of coffee. Try mouthwatering mains like Grilled Salmon with Mango Salsa and, soon to be available for the holidays, Mulwarra Striploin and Angus Rib Eye Steak served with nut-buttered vegetables, mashed potatoes, and a choice of mushroom cream or peppercorn sauce. And for coffee lovers who just want to linger and enjoy Bag of Beans home-y interiors, enjoy the new Bottomless House Blend Coffee, paired with their best-selling Blueberry Cheesecake for a perfect afternoon merienda. The cool mountain air of Twin Lakes is perfect for this Swiss chalet inspired restaurant. 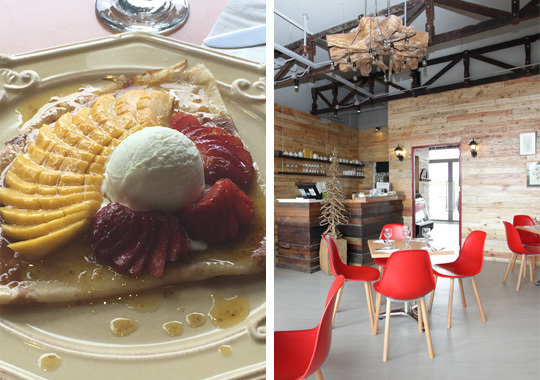 La Creperie’s delicious sweet crepes and savoury galettes, made of buckwheat flour and gluten-free, will definitely make you go Ooh-la-la. Start with the French Onion Soup and follow it up with a Fontina crepe which is topped with prosciutto and arugula leaves. If dessert more up your alley, try their Mango Hazelnut au Chocolat crepe or the inventive Gateau Mille Crepe—a 20-layer crepe that comes in flavors like Matcha Green Tea or Salted Butter Caramel. Twin Lakes’ Starbucks branch definitely lives up to its “most beautiful” moniker. It manages to feel both elegant and homey, with wood accents and patterned windows. Enjoy the cool air and breathtaking view of Tagaytay with Starbucks’ Signature Holiday Drinks like the Toffee Nut Latte, Peppermint Mocha and Panettone Latte, paired with a White Chocolate Truffle Cheesecake or the Dark Belgian Chocolate Cake. “Bringing Bagoong to another level” is the vision of this inventive Filipino-inspired restaurant. Enjoy an elevated take on Filipino cuisine as Bagoong Club serves up familiar favorites with a twist—such as their Bulalo sa Monggo and Ukoy na Kakaiba (a tower of crispy-fried sweet potato strips, with battered veggies, served with a special vinegar mix). And if you can’t get enough bagoong, Bagoong Club dishes up seven different kinds from the basic (Bagoong Lipunan) to chili-flavored (Bagoong Umaga) and even mixed with crab fat (Bagoong Club Special). 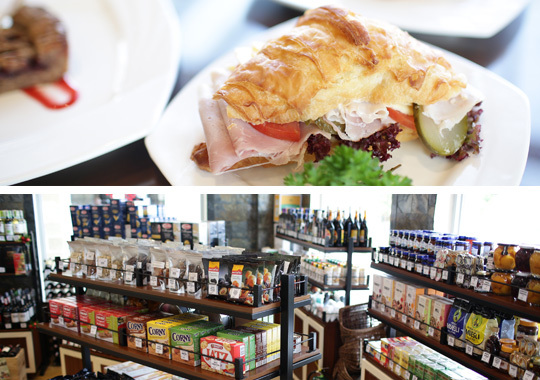 A perfect pit stop for gourmands, Santi’s Delicatessen has all the ingredients you need to have a delicious breakfast or afternoon picnic. Try their Croissant Classic—a French style butter croissant is filled with mustard mayo, lettuce, tomato slices, smoked Santis ham with gouda cheese and pickles; or their Reuben Sandwich—toasted Santis Rye Bread with shaved pastrami, sauerkraut, Swiss Gruyere cheese and Thousand Island Sauce. Santi’s Linzer Tart with its hazelnut and almond crust and raspberry jam is also a sweet finish to any meal. Their selection of wines, Christmas honey ham, European sausages, cold cuts, cheeses, chocolates and pastas also make great holiday gifts. 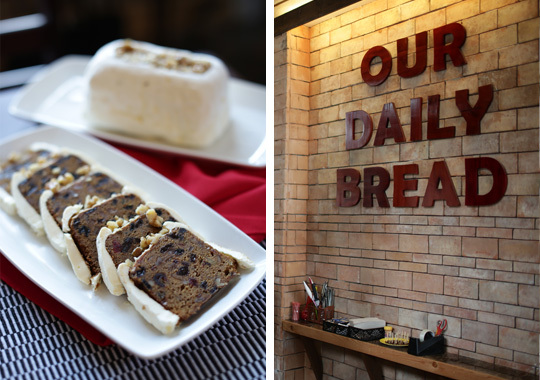 Guided by the aroma of fresh-baked bread, let you nose lead you to Greg’s Fruitcakery. Quaint interiors inspired by cozy Italian countryside bakeries will have you feeling right at home. Also doubling as a bakeshop, Greg’s Fruitcakery’s specialty is, of course, a unique Fruitcake made from an heirloom recipe that has definitely gotten better with time (it also comes with a cheesecake variant). It’s the perfect holiday treat for family and friends. 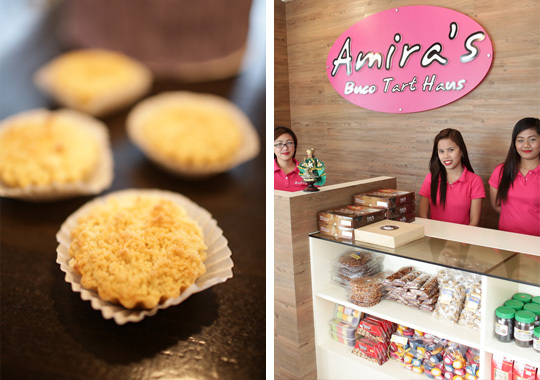 If Laguna has its buko pie, then Twin Lakes has the buco tart, courtesy of Amira’s Buco Tart Haus. Stop by for a sweet treat or great pasalubong for your loved ones. Aside from their best-selling buko tart, you can also try more fruity flavors like Mango Cheese, Egg, and Blueberry Cheese. Other homemade goodies to take home include Amira’s famous Martha’s Bread and their nilupak, which is traditional mashed cassava with milk and butter topped with cheese. 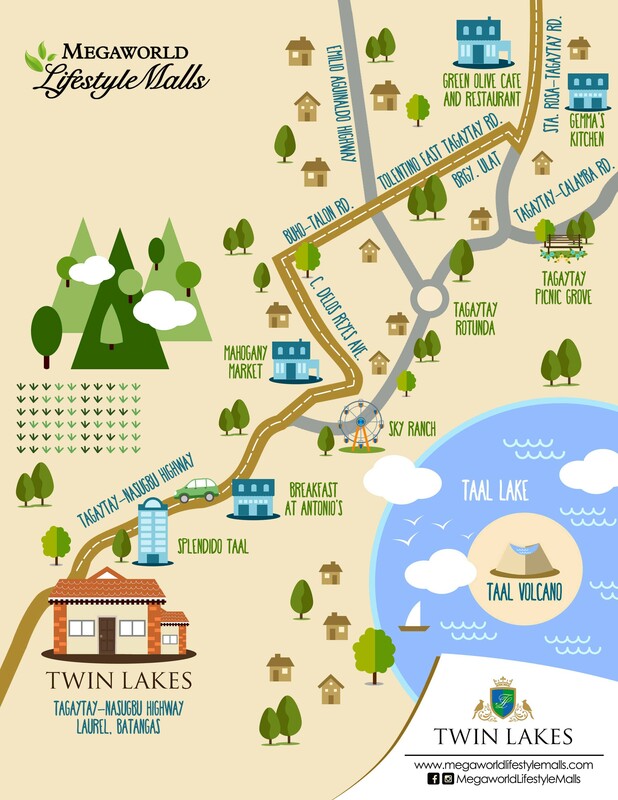 Also opening soon at Twin Lakes are Tap Station, The Farm Organic, and Robinsons Selection. For more details on Twin Lakes, visit facebook.com/megaworldlifestylemalls.